A drink, drugs and single mother Hotspot – along with most other northern English towns in 2014. This entry was posted in Uncategorized and tagged Grimtown, Paradise Street by Michael St.Mark. Bookmark the permalink. Yes but where are all the people?. And does it barely live in the 1st place? On a cold stormy December day with horizontal sleet cowering the population, one has to seriously question it. Doesn’t look much like paradise does it, I wonder which wag thought it was funny to name it this! 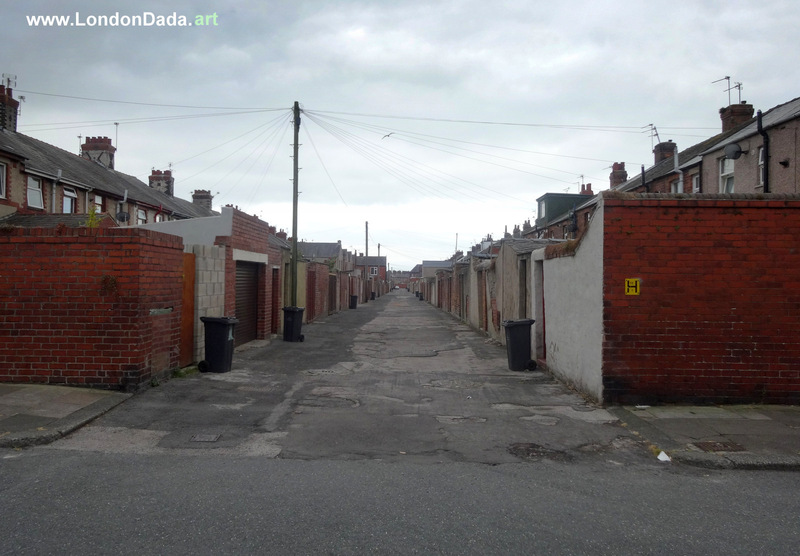 In it’s defence though it looks quite clean for a northern back street, for once free of old sofas, black bags with seagull strewn contents and car engines. There are even a few hardy wheelie bins left which have escaped the arsonists clutches!